Dr. Dev Mishra received his Ph.D. in Finance from the University of Connecticut , MBA (Finance) from Kelly School of Business at Indiana University - Bloomington, MBA (Marketing) from Tribhuvan University - Kathmandu. Dr. Mishra teaches International Finance and Corporate Finance. Prior to joining the University of Saskatchewan, Dr. Mishra was a faculty member at Memorial University of Newfoundland, and Tribhuvan University - Kathmandu, Nepal. Dr. Mishra’s research interests are primarily in corporate finance and international corporate finance. His research has been published in both academic and practitioner journals, such as Journal of International Business Studies, Journal of Corporate Finance, Financial Management, Journal of Banking and Finance, The Financial Review, Journal of Business Ethics, Quarterly Journal of Business and Economics, Journal of Applied Finance, International Review of Finance, Corporate Governance: An International Review, Canadian Journal of Administrative Sciences, Emerging Markets Review,International Review of Economics and Finance, Review of Quantitative Finance and Accounting and Journal of Economics and Finance. In addition, he presented over five dozen referred conference papers, discussed several conference papers, and chaired several conference sessions. 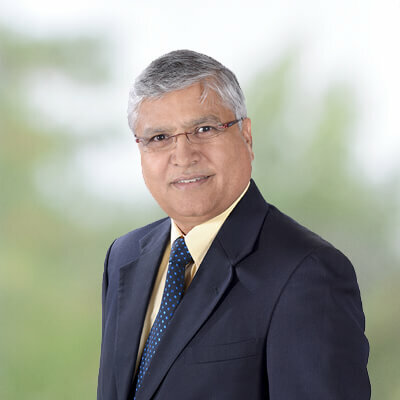 Dr. Mishra has been very active in the academic circle, have worked in the program committee in different capacity of the conferences like, Financial Management Association, Academy of International Business, Financial Management Association European meeting, Eastern Finance Association, Northern Finance Association, and Management Futures Conference. He is also a recipient of the Best International Paper award at Eastern Finance Association (2007), Finalist for the Temple/AIB Best Paper Award (2007). He is also the recipient of the Dean’s Award for Outstanding Research Achievement in 2012 at the Edwards School of Business and a winner of the 2011 Moskowitz Prize for Socially Responsible Investing (SRI) awarded by the Center for Responsible Business at Hass School of Business, University of California Berkeley. Dr. Mishra's current research is best described by these key words: corporate finance, corporate governance, corporate social responsibility, ownership structures, CEO Ability, mergers & acquisitions, implied cost of capital, corporate innovations, corporate risk taking and international corporate finance. Dr. Mishra holds membership in professional organizations, like Financial Management Association, American Finance Association, American Accounting Association, Academy of International Business, Northern Finance Association, Eastern Finance Association, and Management Association of Nepal.